Whether your home is in disrepair, you need to remodel, or you experience a disaster like fire damage, Magnum Contracting Group is the team to call. 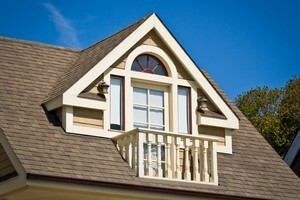 We are general contractors who offer Commack roofing, remodeling, and insurance restoration services. Our general contracting service ensures you have comprehensive help with the entire project professionally managed. Don't get stuck having to hire different contractors and specialists. Call us for the best service. Do You Need Roofing Services? While storm damage repairs are our specialty, you can count on us for a wide range of roofing services in Commack. We work on many types of roofs including metal, tile, asphalt shingle, and flat roofing. We have the quality products you are looking for and offer quality workmanship. Whether you need commercial roof maintenance, repair, storm damage restoration, an inspection, or maintenance, our Commack roofers are ready to get to work. Is your stove located next to the refrigerator? If so, you probably have little to no space to set hot pots and pans when taking them out of the oven. Do you have sufficient space by the dishwasher? Is your kitchen laid out where the stove, refrigerator, and sink form a triangle shape? A dysfunctional kitchen is annoying and frustrating to work in. Magnum Contracting Group can help you remodel your kitchen or bathrooms so they are enjoyable and functional. Let us take a look at your existing space and come up with some ideas to reach your functional and aesthetic goals. As Commack insurance restoration specialists, you'll have a team on your side throughout the entire process of restoring your home. Call us first for an inspection when you have storm or fire damages. Our construction crew will bring your home back to life and you'll have reliable service focused on you. 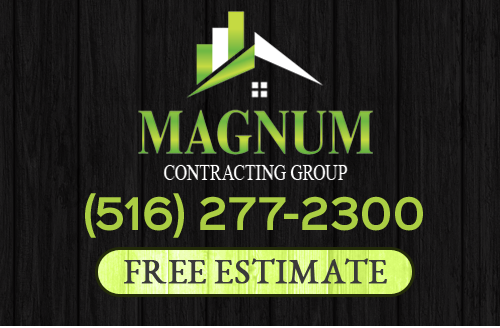 If you need roofing or remodeling services in Commack, NY, give Magnum Contracting Group a call today at 516-277-2300 or complete our online request form.